Every time a DotA 2 Patch is announced, professional players speculate about the Meta. While 7.19d did not bring major changes to every single hero, we should expect to see certain Meta trends shift. The patch features zero buffs and is predominately geared towards nerfing several strong heroes right now. Some of the nerfs were dramatic, and this will cause pro players to reassess strategy. This is important because the DreamLeague Season 10 Minor is set to take place later this month, and the Kuala Lumpur Major is only five days after the end of the Minor. If there are no patches in between the Minor and Major then 7.19d is what both will be played on. Recently we have seen many Drow Ranger strategies, Ember and Storm Spirits dominating, Terrorblades and Phantom Lancers carrying games, and a few strong supports across the professional scene. 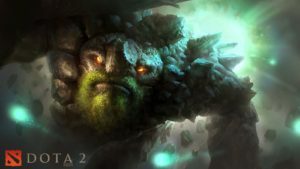 With all of these strategies becoming stale, we should expect 7.19d to bring a new flavour to the Meta. Drow Ranger has been prevalent in the Meta since TI8. Patch 7.19d provides a minor nerf to her Agility reducing her Marksmanship bonus from 40/60/80 to 35/55/75. This affects her armour, attack speed, and aura slightly. 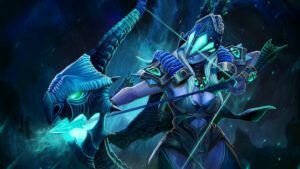 Though nerfed, Drow Ranger will likely still be played throughout the Minor because many heroes that benefit from her aura are still very strong. With that said, Drow lineups tend to be squishy, and there are ways to counter the strategy. Drow lineups focus on having multiple heroes that are Ranged because they benefit from her skills. This advantage allows for early game tower pressure and aiming to win before the game enters the later stages. With how popular Drow has been over the past few months, pro players are figuring out ways to punish these lineups. Expect to see heroes that are strong in the lane phase being used to counter the strategy. Heroes like Ogre Magi or Undying paired with a Necrophos should be able to lane just fine against Drow and get early kills on her to shut down the strategy. Necrophos was also a victim of the nerfs in 7.19d. Two of his talents received reductions, which will influence Necro’s mid/late stages of the game, but leave his early game untouched. The first nerf comes to his level 10 Talent reducing the bonus damage from +40 to +30. The second talent was changed at level 20 from +80 attack speed to +70. Necro is really strong in the early stages of the game, and the two talent changes won’t affect that at all. Necrophos will be a highly contested pick at the upcoming Minor. This hero can be paired with supports that provide lane harass, which makes him suitable for the off-lane/safe-lane. Necro can also match up fine against the popular mid-lane heroes right now making him a very versatile pick. Until Necro faces more changes, expect to see him in a lot of drafts. Tiny is a hero that will be picked as a support and a core at the Minor. Tiny was untouched in the most recent patch, and has one of the strongest lane mechanics in the game; tree grab. There is one thing that you can be certain of this patch, and that is the fact that lane stage is by far the most important. If you win the lanes you should be able to win the games. This ability is a jack of all trades for the lane stage. It improves denies, last hits, shreds buildings, harasses heroes, and provides bonus damage. Tiny will be a cornerstone of a lot of drafts in the upcoming Minor. Riki was the biggest victim of nerfs in the most recent patch. A lot of professional players say how the hero gets drafted as a support and, based on his talents, turns into a core late game. The nerfs that were given to Riki were well deserved. The ability Smoke screen was very broken. Smoke screen had its slow reduced (from 10/15/20/25% to 8/15/16/20%) and had the miss chance provided rescaled (from 40/50/60/70% to 10/30/50/70%). Both of the changes have made the ability more balanced. Riki also had his ultimate range reduced, and the spell’s time was reduced. The last two nerfs that hit Riki reduced two of his talents range increases. With all of that being said, Riki will be a very hard hero to justify picking up in the upcoming Minor/Major. Riki had to take a lot of hits because of how good he really was leading up to the patch. I would expect to see different Roaming heroes being played such as Earth Shaker, Earth Spirit, or Bounty Hunter instead. Terrorblade was the second hero that received Major changes. Most of the changes occurred to increase the cost of his Spells. 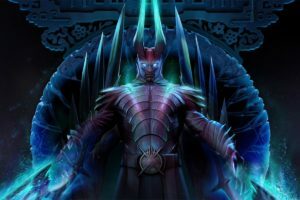 Terrorblade, being an Agility hero, lacks the substantial mana pool in order to spam his abilities like he has been leading up to the patch. The arguably most needed change to Sunder now has an increased mana cost from 200/100/0 to 200/100/50. Considering at a point in the game Sunder has only a 5-second cool-down, and use to have a 0 mana cost, allowing Terrorblade to practically be un-killable at a stage in the game. Terrorblade was affected by 3 other nerfs to his abilities and talents. We should expect to only see this hero come up in games against Phantom Lancer. It seems like any game that has one has them both, and I do not foresee that changing in the very near future. Both heroes will fall off at the Minor as pros look to stay away from this hero in particular. Expect to see Storm and Ember Spirit, both heroes are currently very impactful in games. They are also strong in the lane phase and carry a lot of momentum throughout the game. Axe, Dragon Knight, Ursa, and Wraith King are all heroes that will be picked up to carry games or create space around the map. As far as supports go, expect many 4/5 position Dark Willow and Phoenix games to be played. I also expect Bane to be picked up very frequently in the 5 role. Mirana, Lina, and Enigma in the 2/3/4 roles should expect to see a fair amount of play, and I would not be shocked to see Broodmother games. My sleeper choices for DreamLeague and Kuala Lumpur are heroes that lately have been relatively quiet, and do not see much field of play. I want to see Puck being picked up in some of the drafts with Drow Ranger. Puck has a lockdown (Dream Coil) that can really impact the game. When you pair that up with a Drow Ranger, I could see the possibilities of overwhelming physical damage with few ways out. Monkey King 4 role is very underrated at the moment. His talent tree can easily be manipulated to thrust him right up to the top of the 4 role charts. He will also make appearances as a core, but watch out for the strength of a 4 role Monkey. The extra vision that he can provide paired with his cast range and damage talents can be super dangerous in the right situation.